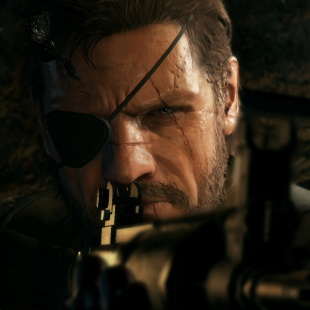 Metal Gear Solid 5 Will Contain Plot "Inconsistencies"
Series-creator Hideo Kojima says that Metal Gear Solid 5's nature as a prequel makes it hard to avoid "inconsistencies" when looking at "small details." Describing the Metal Gear Solid games on a surface level is something that honestly doesn't take much effort. It's a game series about a dude who sneaks past bad guys to save the world. That said, as any fan of the franchise can tell you, that brief description would just be the tip of one of the strangest, most convoluted icebergs that the videogame industry has ever produced. As much as it's about stealth gameplay it's also giant robots, nuclear proliferation, the costs of war, private military companies, genetic engineering, cloning, nanotechnology and, of course, finding ways to weave in fart jokes and fan service. In short, it's a bit of an odd ride and sometimes a little hard to keep straight (La-Li-Lu-Le-what?). In fact, the series has apparently gotten so complex that even its creator, Hideo Kojima may sometimes have trouble keeping the details in line. Speaking about the story of Metal Gear Solid 5 recently, he admitted that fans could probably expect to find at least a few "small" canonical contradictions while playing. "The most important part is writing something that is fun, something that is impressive, something that is better than it was before," he said. "So sometimes in the interest of doing this, of having a better experience, we sacrifice some consistencies in the story. I hope the fans and players understand this, but I need to write the best we can, even if there are some small discrepancies." Part of the problem, he believes, also stems for Metal Gear Solid 5's nature as a prequel. "I'm pretty sure that the guys at Star Wars had the same issues. When you try to write something that was supposed to be in the middle there will be some inconsistencies when you go into very small details." Considering some of the tremendous "what the heck just happened" moments the series has played host to in the past, we can't really see many people getting too bent out of shape if Kojima flubs a few things here and there. After all, if fans were able to forgive the whole "I'm possessed by an evil arm" shtick, we're pretty sure they can get past just about anything.